Introduction A year or two back, my younger daughter gave me a present, 'Dear Dad, from you to me' , one of those gift shop gifts which are very well intentionedy, but, alas, time is so short that they can often gather dust and never be completed. I decided a while ago that I wouldn't let this happen, and would aim to complete it for Sophie, Alice and Tom, so whenever they want to, they could find out a bit more about their Dad. So, I have set up a private blog, to which only family have access, and have been posting to it during our summer 2013 holidays and subsequently. Many of these postings are personal, and best kept private for the family only, but those which are less private will also be posted on my main blog. Where would life be without proud parent moments? Each of my children, now ranging from sixteen to nearly twenty one, are turning into fine young people. A friend once said his parents had a phrase that bringing up children was like baking: you give your children the ingredients, you try to shape and bake them, but what comes out of the oven is not entirely down to you. Well, in my children's case, they are three delicious cakes. 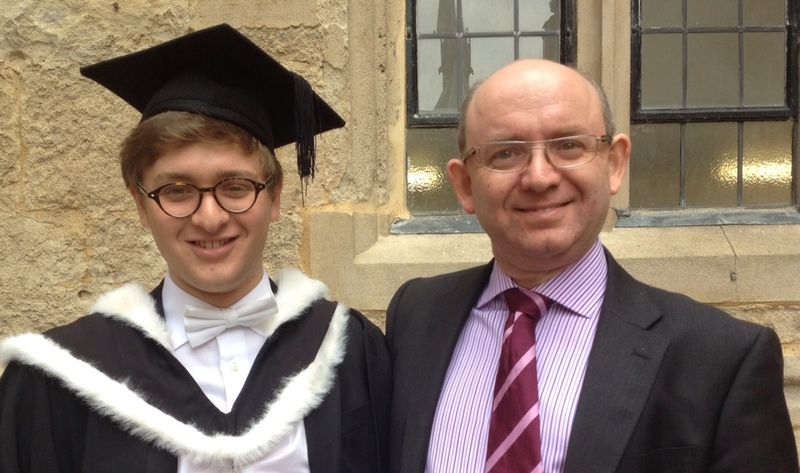 The first cake out of the oven is my eldest, Tom, who graduated on Friday with a First in PPE from Brasenose College, Oxford. I don't see how a parent could possibly be prouder than I am of Tom. 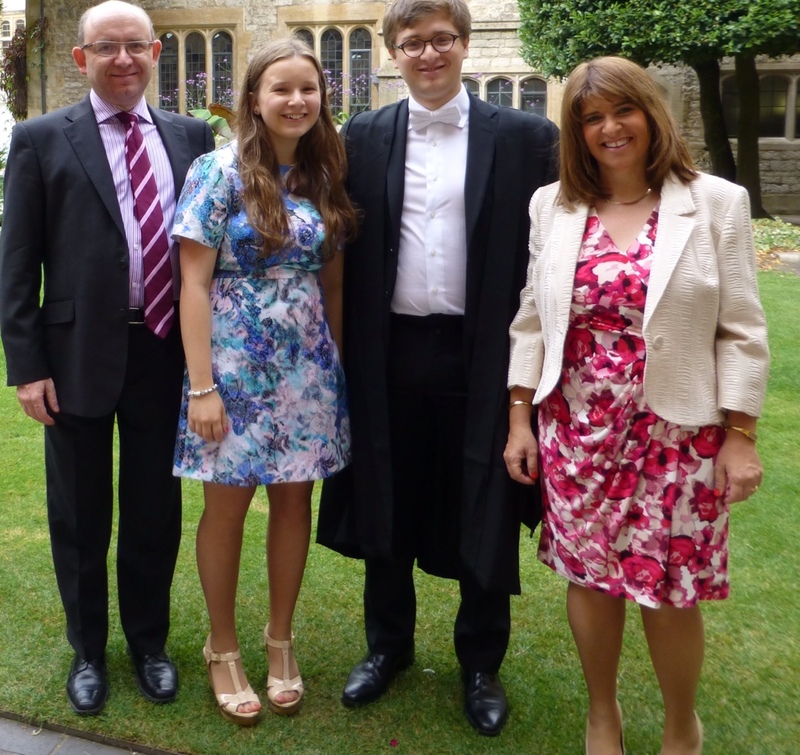 He has had a wonderful time at college, making great friends, being heavily involved in student journalism, including a term being editor of Cherwell, a university newspaper, and generally just having the perfect Oxbridge experience. Friday was a fitting finale. 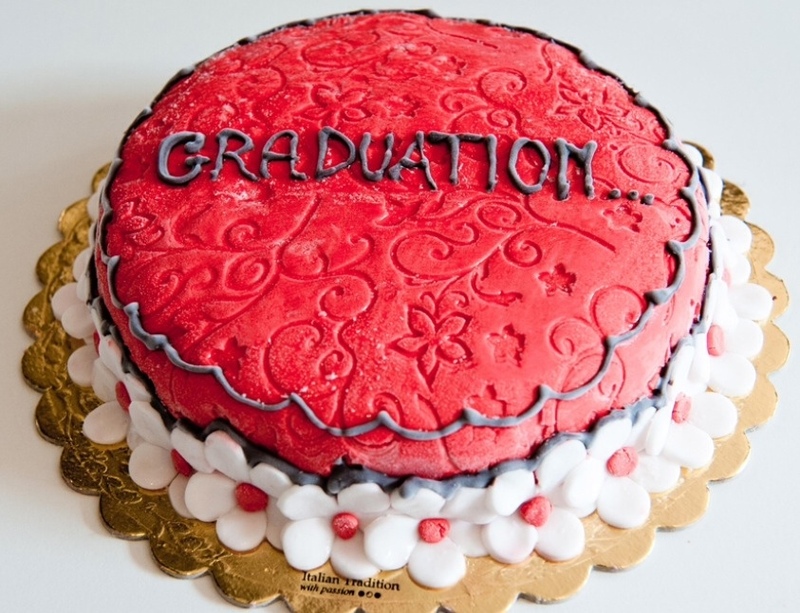 The weather was superb and Jane, myself, Tom and our youngest daughter (daughter #2 is away, volunteering in Malawi) had a wonderful, memorable day: the ceremony was just right, the right mix of Latin, pagentry, doffing of mortar boards, bowing, and of lightness and celebration. 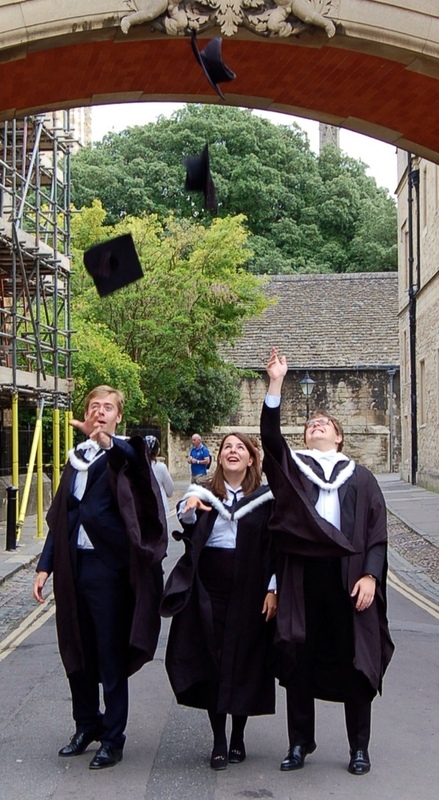 Then after drinks and canapés at Brasenose we had lunch with Tom's girlfriend Anna and close friend Will, and their parents at Quod restaurant to cap a perfect day.